When you hear “MMA”, you probably think of big, muscular guys throwing each other around right? Well at Scranton MMA, we break that stereotype every day! We make mixed martial arts training available for every type of person. We have classes for adults and children, competitors and hobbyists, and men and women! On Thursday nights at 5:00, Scranton MMA holds a women’s only self defense class for women looking to get their feet wet in Gracie Jiu Jitsu. During the women’s only self defense class on Thursdays, our female instructor Jess Papi, introduces women to the basics of Jiu Jitsu for self defense. She shows the women in class how technique and leverage can be used against a bigger, stronger opponent in an attack situation. Jess will be the first person to tell you that Jiu Jitsu techniques WORK against the bigger, stronger guys she trains with every day. 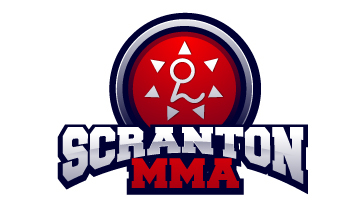 The women’s only class has always been on the schedule at Scranton MMA, but as of recently, we’ve seen a huge increase in the number of attendees! We’re so happy to see more women taking the initiative to get healthier and learn how to protect themselves. 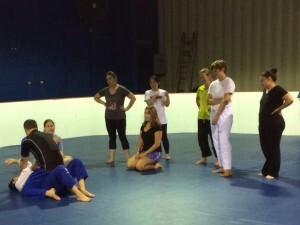 Learning Jiu Jitsu is a fantastic way to stay in shape and gain confidence. Just ask one of the EIGHT women who attended class last night! Jess showed the women two different ways to escape from the mount position. The ladies in class worked hard practicing the moves, and had a lot of fun doing it. Some of them even said they were going to practice the moves on their husbands at home! Look out, guys! Jess is always happy to have new students in her women’s only class, so don’t be afraid to stop by. The class is very beginner friendly, and of course, a lot of fun! To schedule your first class, email us at ScrantonMMA@gmail.com or call us at 579-851-2987!